Hyperikon's 4" LED Downlight is a perfect flush mount solution for recessed lighting cans using incandescent or fluorescent bulbs. 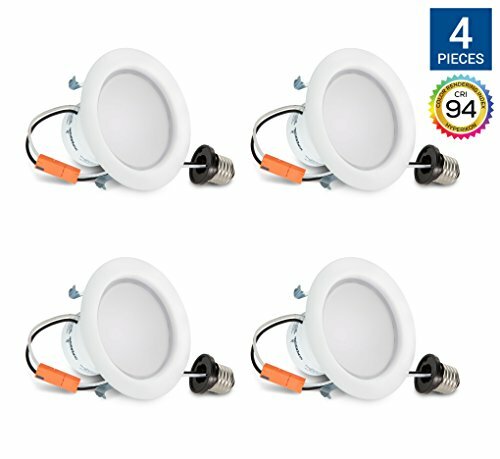 These LED recess lights fit 4-inch ceiling cans perfectly and cut energy usage by up to 87% by replacing 65W with 9W. These light fixtures are dimmable from 100%-20% when used alongside modern LED dimmers. Great for use in bedrooms, living rooms, and kitchens, these bulbs have a lifetime of 45,000 hours, or 21 years with average use.